A train ride, art made entirely out of jelly beans, and a store filled with sweet delights have been drawing candy fans to the Jelly Belly Visitor Center in Pleasant Prairie, Wisconsin for 16 years. This popular tourist stop with well over 150,000 visitors each year is a hub of family fun and now features a fun and updated free tour experience for all. 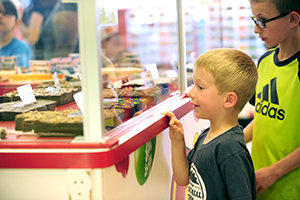 The confectionary adventure begins at Jelly Belly Station, a fun and educational experience for all ages. 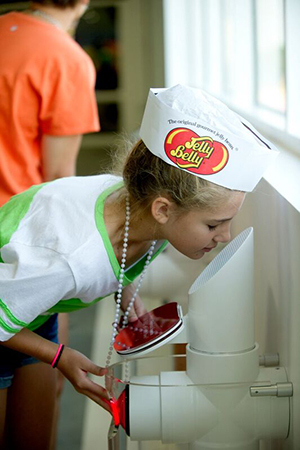 While waiting to board the Jelly Belly Express, visitors enjoy interactive exhibits, including six Smell Stations to test the olfactory senses and the Bean Blitz virtual soccer game, and peek into the company’s history with new exhibits and exclusive videos. 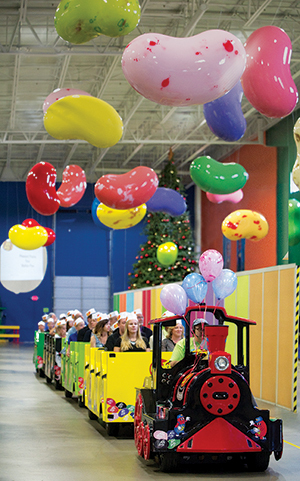 Then, guests hop on a guided train tour for a 20-minute ride through the Jelly Belly warehouse where they learn how the company creates delicious Jelly Belly® jelly beans. The ride features updated HD/4K videos of the jelly bean-making process and fun facts about candy making. And no tour is complete without a free bag of Jelly Belly beans at the end of the ride! The candy extravaganza doesn’t end there! Inside the store a sample bar beckons visitors to taste any of the 100-plus different candies the company makes, and a fudge counter displays a variety of fudge made right there at the Jelly Belly Visitor Center. A snack bar offers hot dogs, drinks, and ice cream, and don’t forget to pick up a bag of Belly Flops for the ride home. 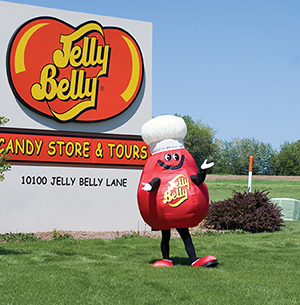 Just 15 minutes north of Six Flags Great America and near factory outlet shopping, the Jelly Belly Visitor Center is a sweet stop off the Interstate 94 Milwaukee/Chicago corridor near Kenosha. 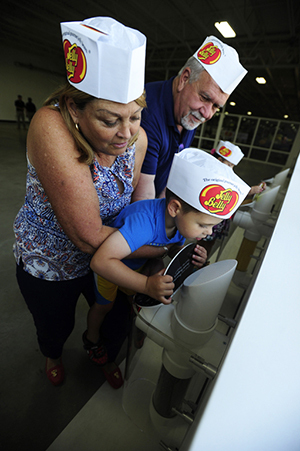 Tours are free, and there are plenty of samples of Jelly Belly® jelly beans. 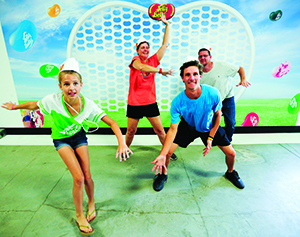 The Jelly Belly Visitor Center is located at 10100 Jelly Belly Lane and is open daily 9 a.m. to 5 p.m. Tours operate 9 a.m. to 4 p.m. For information call (866) 868-7522, or go to JellyBelly.com.